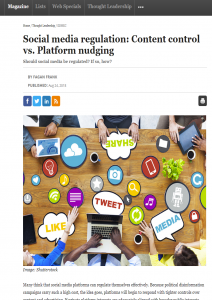 "Many think that social media platforms can regulate themselves effectively. Because political disinformation campaigns carry such a high cost, the idea goes, platforms will begin to respond with tighter controls over content and advertising. [...]"